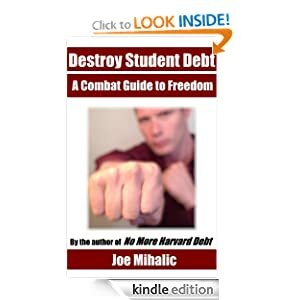 Why am I willing to make sacrifices to cut my costs and increase revenue to be student loan-free in 10 months? I want the option to get off treadmill in a major way. There is an extremely, extremely low probability that I would ever do it, but I want the ability to sell off all of my stuff and just leave, just walk away from everything. I’m guessing this desire stems from the fact that before I was 14 years old, I lived in five states, two countries, and moved seven times. The thought of having to stay in one place and work a six-figure job just to make ends meet, and cannot, at any one point, walk away from it all without getting into serious trouble with the government seems a bit…stifling. If I can shed the student loans, then I have options. The value of my house has stayed flat if not appreciated since I purchased it and started paying down the mortgage over a year ago, so I can cash out of that (and pay off the $8k new homebuyer credit) and walk away and not owe anybody anything. But as long as I have student loans–which I cannot directly cash out–I’m stuck. I borrowed $95,610k. The ten-year notes carry a monthly charge of $871, or $104,520 over the life of the loans. The 15-year notes carry a monthly charge of $186, or $$33,480. So once my loans are paid off, I will have paid $138,000 even, or $42,390 in interest. $42k in today’s dollars, in tomorrow’s dollars, in 15 years from now’s dollars–it’s a lot. It’s the start of a solid college fund for my future kids. It’s a dent in my current mortgage. it’s a used Dodge Viper, a boat, or a down payment on a vacation house. But right now, it’s all spoken for by the loans if I keep making my standard monthly payment. I want to have kids by the time I’m 35. My parents started saving for my undergrad when I was born, and my only personal expenses at Michigan were related to entertainment. Mom and Dad picked up the tuition, living expenses, and the rowing team. Thanks, Mom and Dad! I can’t imagine spending $1,057 every month on HBS when I’m 36 and have kids’ college accounts to fund. That money should be going to their college education, not mine. I have a buddy who makes about as much as I do. He owns a house near me and like me, he has two cars and a motorcycle. We make roughly the same. It took me a while to figure out how he can afford to take several international trips a year, and still party as much as he does. And then it dawned on me–he doesn’t pay $1,057 a month in student loans! Heck, if I took two months off of paying my student loans, $2,100 could buy a plane ticket to a fairly exotic country. Take another couple months off, and my vacation is fully funded! Do that three times, and I just went on three international vacations in a year! Just found your blog, and I am so inspired! Thank you, thank you, thank you for being brave enough to document your journey. Let’s just say I have significantly more debt, as my parents weren’t able to foot my undergrad bill (also a Michigan Alum ’06! ), plus I unfortunately paid for my MBA using private loans (lesson learned! ), and I’m planning a wedding for this November…but I am determined because I’ve seen that you accomplished a very aggressive goal! Thanks again for sharing and I hope you’re enjoying the freedom and everything else your success has brought on!